Have you ever considered buying White Widow weed seeds? We can imagine you have thought about it but that you have not tried it yet. Maybe because you do not consider yourself experienced enough to grow these excellent cannabis seeds on your own. However, in order to also provide the opportunity to inexperienced weed growers to start working with these cannabis seeds, the Autoflower version of the White Widow has been developed. Thanks to the addition of a ruderalis these cannabis seeds are capable of growing into full-fledged plants without being greatly influenced by the cycle of light. This automatically means that the White Widow Automatic cannabis seeds can be cultivated both indoors and outdoors. However, a continental climate is the minimal requirement for a successful outdoor cultivation. This combination of sativa and indica is clearly indica-dominant; the ratio is around 30 percent sativa and 70 percent indica. The ‘stoned-feeling’ the smoker experiences is even somewhat more powerful than you are used to when consuming the traditional White Widow: an additional reason to start working with these cannabis seeds. 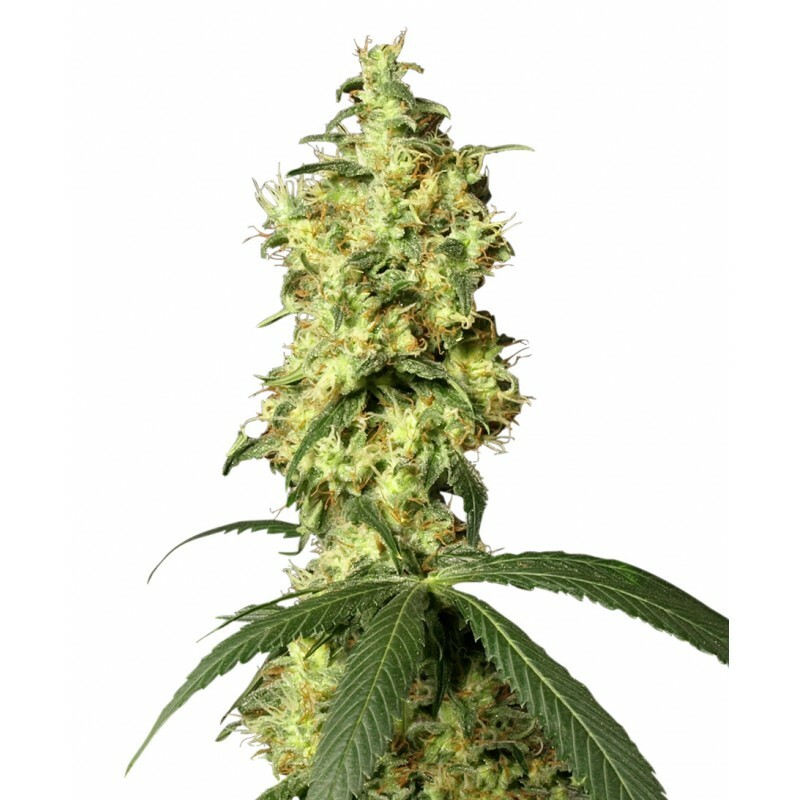 The plants remain relatively small but provide (especially for an autoflowering variant) an excellent harvest. In the fastest cases it is possible to harvest 75 days after the seeds have been sown: ideal for the grower who is not very patient. This obviously also means that multiple harvests per year are possible.